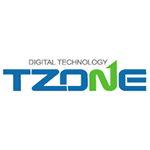 Shenzhen T-Zone Digital Technology operates in the area of high-tech electronics development, manufacture and distribution. The company was founded in 2006 in Shenzhen, China. The core business domains include fleet management and wireless temperature and humidity monitoring. Company products are supplied to the Middle East, USA, Europe and Asia. The chart below shows the changes within the last 30 days in the number units of T-Zone devices type are connected to Wialon Data Center.